Hello and thanks so much for getting in touch with us. We are Deon & Reni. We try to mix real moments with a few timeless, relaxed and naturally posed portraits in order for you to end up with a well rounded collection of beautiful memories. So we absolutely love photography. We consider ourselves primarily documentary wedding photographers as we mainly draw our inspiration from non-wedding related photographers like Joel Meyerowitz, Stephen Shore, Alex Webb and Robert Frank. We embrace a bit of grain and blur. Emotion, mood, feeling and honest moments are what gets us excited the most, whether it's styled by the crème de la crème or put together on a whim in someone's backyard. We want our images to reflect the truth about your day and what it felt like. We're really excited and thankful that you are here, looking forward to connecting with you soon! Great for more intimate weddings. Having one photographer there will be more unobtrusive and relaxed. We’ll be less of an outsider as we can integrate better in a small group, looking for that deeper connection. Either Deon or Reni will be there to capture your wedding day. If your wedding has more than 100 guests we strongly recommend booking two photographers so we won't miss a moment. You’ll receive an online gallery where you can browse, share, and download all your photographs. You’ll be able to take care of your own printing, or you and your guests can order prints straight from the gallery. Both Deon and Reni will be there to photograph your wedding day. We'll be able to capture all the different moments, put more emphasis on your guests, detailed shots and landscapes. Because we'll be able to explore the surroundings better, we can look for that deeper story. You’ll receive an online gallery where you can browse, share, and download all your photographs. You’ll be able to print your own or you and your guests can order prints straight from the gallery. Sometimes you just want to have someone cover a few hours over the important parts of your wedding and don't like the idea of full day photography. Or perhaps you see the beauty in your day being laid out as a photographic story. Each wedding and couple is unique and there are no set rules for how much time should be spent documenting your special day. It's your choice. Not sure how much coverage you'll need yet? No problem at all. You'll be welcome to adjust your coverage amount at any time after making your booking. Books are one of the best ways to appreciate your photographs because the story will keeping on unfolding before your eyes. Photos, especially of your wedding, should also be printed and shown off. 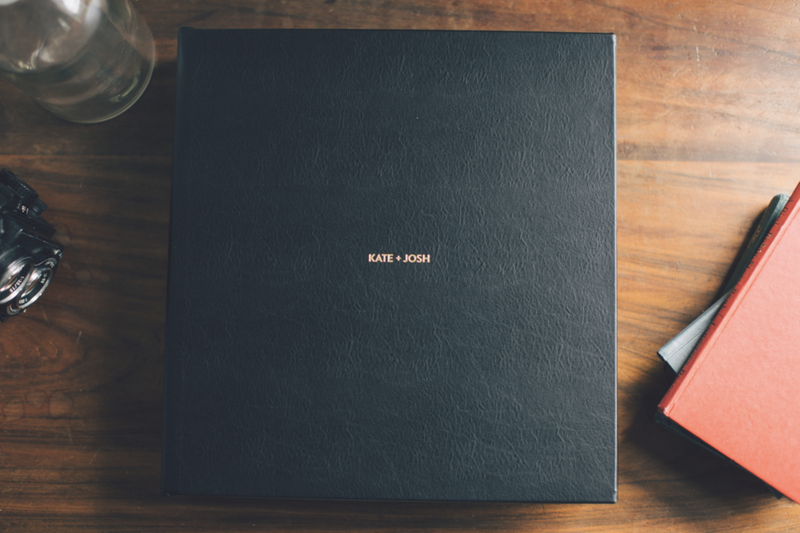 We highly recommend thinking about investing in a beautiful album. These albums will impress in quality, design and feel. You can order two different kinds of books from us which we print in the US, using the best book suppliers in the world. Each book is uniquely designed by us, but you’re welcome to send us your favourites so we turn it into a little collaboration. *If pre-purchased with your photography package or 7300 ZAR if purchased after the wedding. *If pre-purchased with your photography package or 13 000 ZAR if purchased after the wedding. To secure your wedding date we ask for a 50% nonrefundable retainer and a signed copy of our contract. The remaining balance is due 21 days before your wedding date. We’ll be based in Cape Town. But keep in mind that if your wedding is more than 100km away from our base, there will be travel costs involved. We’ll travel 100KM for free, but after that we charge R3.00 per km. We require overnight accommodation for any wedding that is over 120km away and if your wedding is more than 3 hours away, we’ll request 2 nights of accommodation. If this all sounds good to you and you think we're the right fit, we would love to meet you guys and hear all about you and your wedding plans. Thanks again for showing interest in our work - we are looking forward to hearing from you!